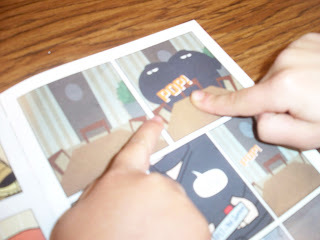 Onomatopoeia is so much fun to say! It's pretty funny to hear my third graders attempt to pronounce it, but even funnier when some of my bossier (did I say that?) students take it upon themselves to correct everyones pronunciation when they don't quite have it themselves! 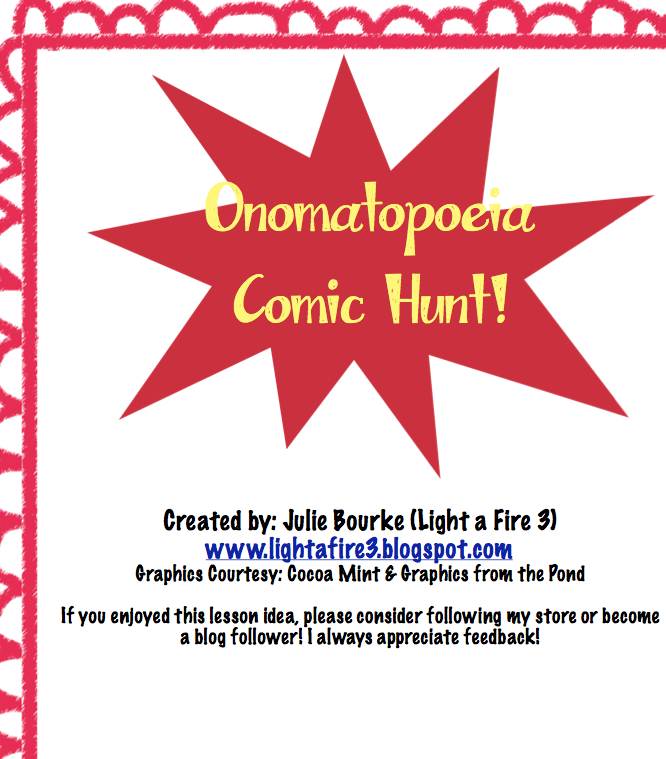 Onomatopoeia has been our focus for the last 2 days and we have had FUN! I thought I would share a little lesson that I whipped up yesterday when we all needed a fun break from the test prep/review/reading series. 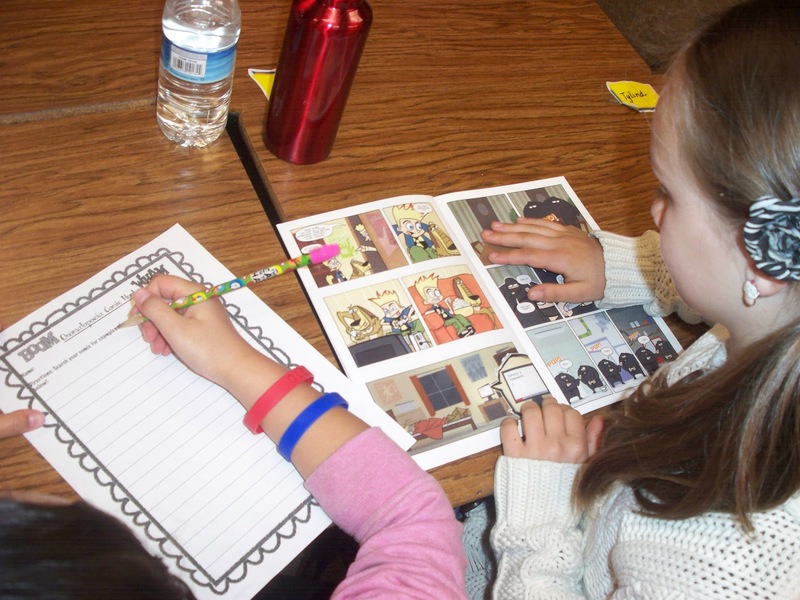 This lesson calls for comic books. If you don't have any in your classroom, you are in luck! This weekend is Free Comic Book Day! 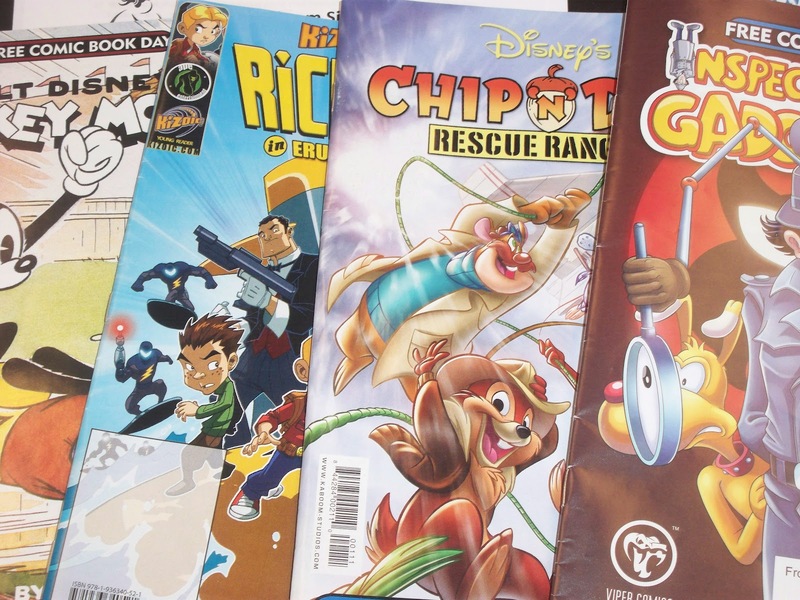 Where your local comic book store (if participating) is giving away free comics! 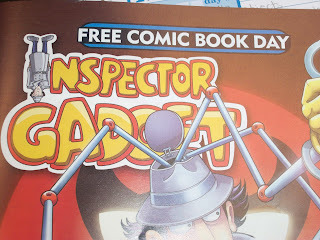 I know teachers love free stuff and I am sure that if you tell them you are a teacher- they will give you extras! 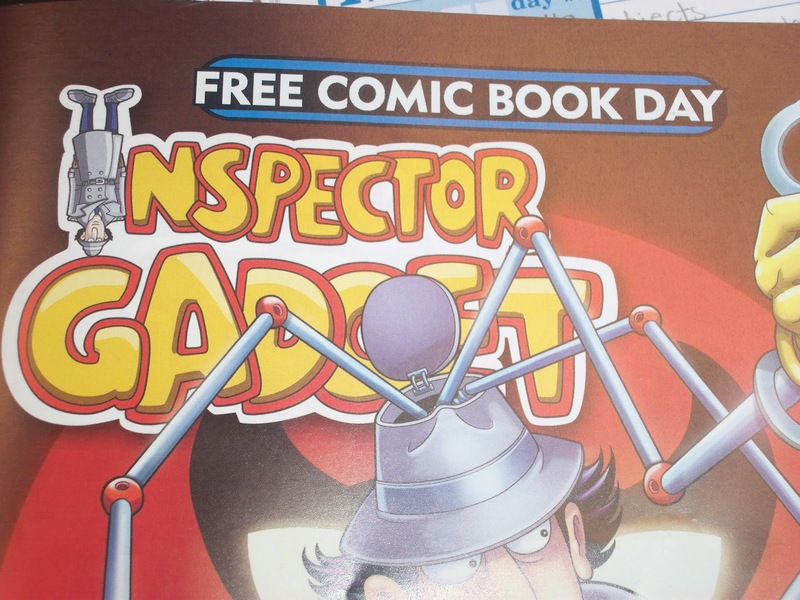 They are kid friendly comics they just say "Free Comic Book Day" on the cover. 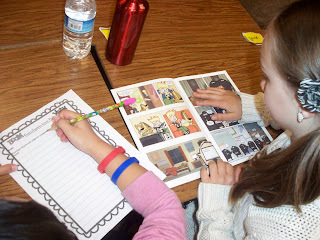 I know that not everyone is comfortable using comics in the classroom. I can say from my own experience, that when I pull out real-live comic books, the engagement level goes up about ten notches! 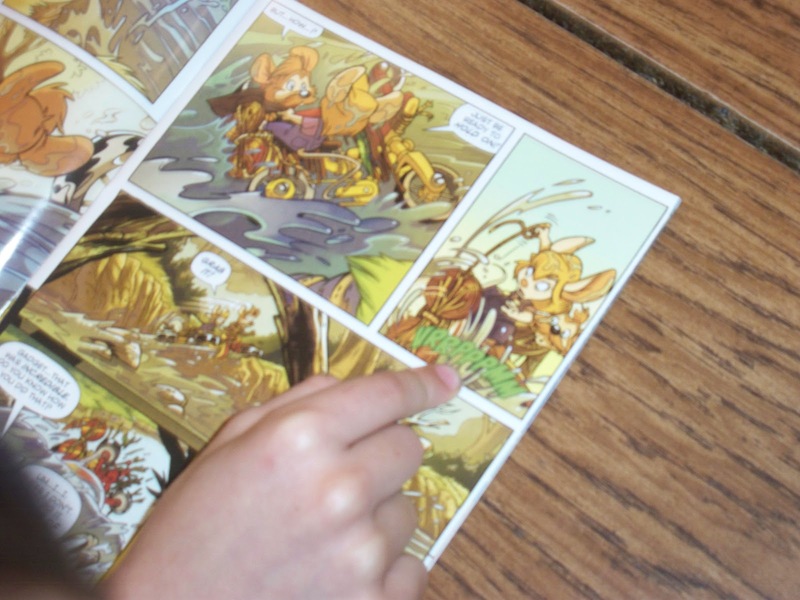 Kids LOVE comics and they are reading, inferring, synthesizing, summarizing- all those lovely reading strategies they work with every day apply to comics! And, when you are able to find the comics for free- it doesn't seem so intimidating to pull them out on a fun day and hunt for examples of onomatopoeia. 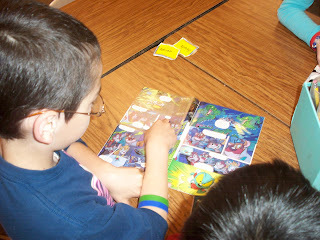 With their buddy they read through the comic and record any examples of onomatopoeia on their recording sheet. Some students found things that they thought were sound examples but weren't sure- so they would record what they thought it meant, or why they thought it was an example as well. It is a very simple lesson but it was amazing to hear the students conversations about words and language. 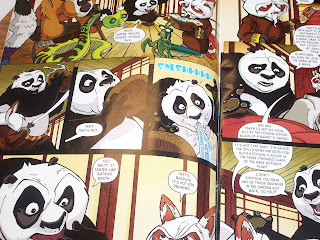 Groups were defending their choices and talking through how it was used, what was happening to the character at the time, why the comic decided to spell the sound that way- just great conversations to hear as a teacher! We ended the lesson by singing a song that I learned a few years ago doing a simple internet search. I don't know who created this song- so please accept my apologies for not being able to properly site my source! That's a cute video and pretty impressive they know how to spell that word! By the way, thanks for the tip. Comic books are indeed a great place to find onomatopoeia. Kids do love comic books! Very neat that some places may be offering them for free. Thanks for the tip!